Signs and symptoms of thyroid disorder - is this why you don't feel well? Thyroid disorders seem to be on the rise in modern civilization, but why? How do we know if it’s something we deal with? Why don’t doctors seem to notice the symptoms of thyroid disorder more often? And why are so many women struggling with their symptoms without help? So many questions. I’m trying to find all of the answers. Because, as many of you already know, I’ve been basically feeling like crud for the last year. I’ve very much had feelings of depression and anxiety along with major fatigue and insomnia. I also think it’s probably something that’s been lingering for many, many years, yet only showed up in full force after my miscarriage. I now am a believer that stress can cause or multiply health issues. I’ve always dealt with many of the symptoms – they’ve never interfered with my life before. Or they came and went within weeks/months. When I switched to a whole foods diet most, if not all of them, went away. But this last year has been a bugger of a year, as symptoms of a thyroid disorder showed up more and more. As a mom of young children, I shrugged off the fatigue. I mean, all moms are tired right? And the feelings of depression and anxiety could be related to the miscarriage and grief. Yet deep down I knew there was something else wrong. My much awaited lab results showed me just that. And I have a feeling that many of you may also deal with thyroid issues and just don’t know it. Or maybe you’ve been tested and your doctor told you that everything was “normal”. Even when you feel that it’s not. The thyroid is a small endocrine gland, just above the adam’s apple in the throat, consisting of two parts. To me it sort of looks like a butterfly. An ugly one. This gland takes in iodine and produces thyroid hormones. Every cell in the body depends upon thyroid hormones for regulation of their own metabolism. It detects shifts in body chemistry (chronic blood sugar imbalance, hormone imbalances, chronic inflammation, nutritional deficiencies, toxicity, liver congestion, poor digestive health, or even the use of hormones, synthetic or bio-identical) and helps the body compensate for them. The pituitary gland releases thyroid stimulating hormone (TSH) to the thyroid gland, giving it the signal to produce more hormones. TSH stimulates thyroid peroxidase (TPO) activity to use iodine to create T4 and T3 hormones. 93% of the thyroid hormone production is T4, an inactive form which needs to be converted by different organs in the body. 7% is the usable T3. These hormones hitch a ride in the bloodstream on thyroid-binding proteins to the cells that need them and can convert the T4 to T3. 60% of the T4 produced by the thyroid is converted to T3 in the liver by an enzyme called tetraidothyronine 5’deiodinase. Another 20% of the T4 is converted in the digestive system via the sulfatase enzyme which is present in healthy guts. There are actually different ways that hypothyroid happens in the body. Sometimes its because the pituitary senses the thyroid isn’t doing it’s job correctly and produces more thyroid stimulating hormone (TSH). Other times the pituitary is malfunctioning and not able to produce the amount of TSH needed to signal the thyroid to produce the correct amount of hormones. Another pattern of hypothyroid is the inability of the body to convert the T4 thyroid hormone to T3 because of excess cortisol or chronic inflammation. Hyperthyroidism is a medical term that basically means your thyroid is producing too many hormones so you have too many thyroid hormones for the cells. This could be due to the thyroid getting the signal to produce too much, or the inability of the cells to absorb the thyroid hormone. people with Hashimoto’s also tend to go back and forth between the symptoms of hypo and hyper thyroid. This is an autoimmune disease where your immune system is actively attacking your thyroid, destroying it. It is also the most common cause of hypothyroidism, some sources stating that up to 90% of hypothyroid cases are due to Hashimoto’s. This causes the thyroid to continue to lose function, eventually not working at all. 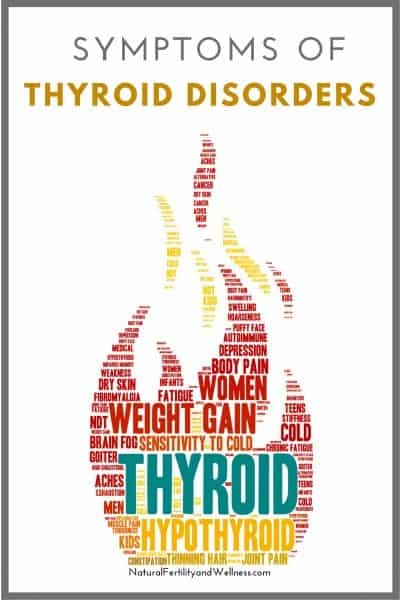 It can cause hypothyroid symptoms and then can change to hyperthyroid symptoms as a “flare-up” destroys the thyroid tissue and hormones stored in the gland flow into the bloodstream. Once these hormones get into the bloodstream, the body’s metabolism speeds up, and a person will experience the symptoms of hyperthyroidism. 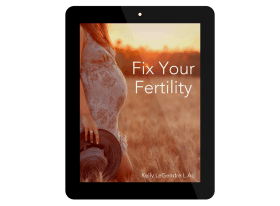 You don’t have to live your life feeling like junk; depressed, anxious, overwhelmed, overweight, and infertile/living with unbalanced hormones. There is hope for fixing thyroid issues without lifelong medications, and in the following days/weeks, we’ll be talking about ways to heal the body and focus on supporting your thyroid. If you have, your homework for the next couple of days is to call your doctor and get your test results. I cannot stress this enough! You need to find out your numbers and have them tell you exactly what thyroid hormones were tested and what ranges they used to decide what “normal” function is. 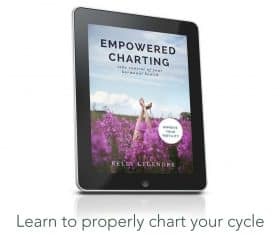 This way you can check your levels based on functional medicine standards as well as make sure your doctor got all of the right testing done (About half of the women that I talk with have doctors that didn’t!). Thanks Donielle! I’m really looking forward to these articles! I had my thyroid checked a few years ago and it came back right in their range of normal. My TSH was 2.18 and their range of “normal” was .45-4.5. I have a few of the thyroid symptoms but not the main one, which seems to be weight gain and difficulty losing weight. Mine are more along the lines of cold hands/feet and low waking temps (I think) that normalize throughout the day. YES! Get it checked! Preferably by a naturopath or someone who might actually consider that it’s a problem even in “normal” range. Having my thyroid being out of whack caused marriage problems and 2 miscarriages. About 3 days after starting Armour Thyroid, I felt human again. Honestly, it should be up there with diabetes, cholesterol and other regularly checked bloodwork. I’m so glad you are writing these articles. I would have been so grateful to stumble upon them 4 years ago!! I am really enjoying this series! Keep all the great info coming! Thanks so much for sharing your story! I’ve been “feeling like crud” and having MANY of these symptoms since my daughter was born 9 months ago. I keep going to the doctor, being told that everything is “normal” and getting discouraged. I’m going to go back and ask for the complete range of thyroid tests, even if I need to pay for them myself! Could iodine deficiency and halogen overload explain the increase in hypothyroidism? Thank you for this series. It is very relevant to me. I was diagnosed with hypothyroidism 20 years ago (when I was 12), then diagnosed with Hashimoto’s about 10 years later. I also have ulcerative colitis (but have had no issues with that in about 6 years!!!) and antiphospholipid antibody syndrome (a clotting disorder) – both of which are autoimmune diseases. I have made pretty drastic changes in my lifestyle and food choices over these last 10 years yet have been unable to effect change on the thyroid. Even with proper medication (and proper testing of all the different levels, I still exhibit symptoms). However, some of your research has led me to further research of my own. These discoveries have been eye opening. I believe I may have just decided to embark on a gluten-free, legume-free, sugar-free lifestyle – at least for the time being until I can have the effects tested. Thank you for this series, I have been diagnosed with hyperthyroidism but have some of the symptoms of hypo. Especially weight gain and trouble losing weight. Have they checked for antibodies? If you have a full thryoid panel done with antibodies you can see if you have Hashimoto’s or Graves which are both autoimmune diseases and require a bit different treatment. From there you can figure out what’s really going on and how to best change your diet and supplements (and possibly add thyroid medication) to help heal your thyroid. Enlightening article. I just had my T3H tested and it came back “normal” the range they consider normal is .4 – 4.7. Mine was 2.08. I guess I am not sure what this means, any thoughts? I struggle with weight loss. I excercise, mostly cardio, at least 6 times a week and I have been logging my food, which I keep around 1,200 – 1,400 calories. I have 14 of the Hypothyroidism symptoms. I am always asking my doctor to re-check my thyroid – for YEARS…but the results are always just at the ‘normal’ levels. Exactly what tests should be performed? I have only had thyroid and the TSH levels done as well as hormone/testosterone levels. I have been convinced for quite some time now that I have hypothyroidism but the results show otherwise. It is extremely frustrating. Thank you. Hi everyone! I’m moderate hypothyroid. I went to 4 different doctors until I was finally diagnosed. I read a lot to learn and I am a nursing student, so I knew something was wrong with me. I would like to share some important information with everyone. First I would like to say that TSH is really not that important. If your doctor runs a TSH and let’s say you are 2.0 or even just a little higher you can possibly still be hypothyroid. The American Association of Clinical Endocrinology changed the lab ranges back in 2002 to .3 – 3.0 (but most doctors are not going by these values, some do). Let me give you an example of what happened to me. I took a TSH test in the afternoon at the doctors office and I didn’t fast. My results were .86, that would make it look like I have the healthiest thyroid ever. So I went to another doctor, took another TSH test, two months after the first one, and this time it was at 8am and fasting, results 3.68. I know why this happened, your TSH is released from you pituitary gland around 2am. Therefore, having a test fasting and early in the morning make it as accurate as possible. So my point is, if you have all these symptoms and your doctor is running a TSH and especially in the afternoon, they don’t know what they are doing. Also, a Free T3, Free T4, Reverse T3, and antibodies test should all be done. Without all of these test you won’t get a proper diagnosis. For a hypothyroid patient your Free T3 will be low, Free T4 will be high, and your Reverse T3 will be high. That’s how it works. If you have Hashimoto’s you will test positive for antibodies. I hope I helped. Don’t ever give up. I go to a holistic doctor and I’m on Nature Throid. I feel so much better. YES, absolutely! TSH only is basically worthless and I’d also highly recommend the same tests you mentioned.